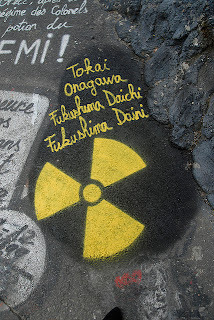 As the fear of Japanese nuclear meltdown is increasing various countries including US and France have declared that the level of radiation leak is alarming and extremely high. India and China has also started scanning every food product being imported from Japan for any radioactivity before putting the into market. But a new story is coming up this tie from WikiLeaks that Japan had received many warnings over the stability of its nuclear power plants from IAEA which was ignored. In December 2008 a senior official of IAEA (International Atomic Energy Agency) said that the safety rules in Japan were outdated, strong earthquakes would pose a “serious problem” for the power stations. While safety rules in Japan was declared outdated there, guidance on how to protect nuclear power stations from earthquakes had been updated three times in the past 35 years. Also, some earthquakes in recent times have exceeded the design criteria for few nuclear plants which now requires some revision in their design to withstand future earthquake of this intensity. The reports from various sources also says that the Japan Nuclear Reactors were designed to withstand the earthquake of magnitude 7 only, the earthquake which hit Japan on 11th March was of much high intensity (8.9, now updated to 9) enough to damage the structure of the nuclear reactor. By 2005, Japan’s most favourite source of electric production was coal and nuclear. Taro Kono, a high-profile member of Japan’s lower house, told U.S. diplomats in October 2008 that the government was “covering up” nuclear accidents and ignoring alternative forms of energy, including wind power, according to the Washington Post. It is coming to the knowledge that in early 2004, Japanese court had ordered to shut down the nuclear plant in Fukushima due to safety concerns, but government had ignored that as well. Though the mistake of Japanese government is clear but at this time we cant blame anyone, we have to help the same Japanese government to overcome this disaster, later these questions can be raised in International Assembly. Scroll down and pray for the Japanese people in the comment form, your comment is very much appreciated! !